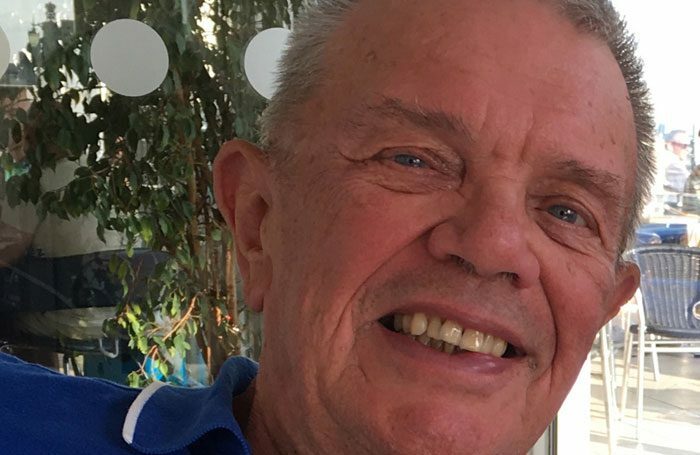 Actor-turned-agent Derek Keller – affectionately known as ‘Bo’ – was a mainstay of Brighton’s theatre scene, where the offices of his agency was based for nearly 30 years. Born Derek Smith, he trained in theatre arts at the Northern School of Music (now Royal Northern College of Music) in Manchester, changing his surname when he joined Equity. On graduating, he found small roles in theatre and television (notably a spell as suitor to Irma Ogden in Coronation Street) but later changed the direction of his career when he began working with John Mahoney Management in 1985. When Mahoney died three years later, Keller and fellow agent Fred Bannon took over control of the agency and moved its offices to Brighton, where they also formed their own agency, Mahoney Bannon Associates. Diagnosed with lung cancer in 2016, he divided his time between the UK and Nice, where he died just 10 days after sending his last work-related email. Derek ‘Bo’ Keller was born on August 5, 1942 and died on January 11, aged 75.